Browse the education sessions scheduled for the American Telemedicine Association’s annual conference and expo in New Orleans next month, and you’ll notice that many of them are geared toward elderly patients, home-based care and aging in place. None of that is a coincidence, of course. As the “Silver Tsunami” swells, with more than 75 million Baby Boomers set to avail themselves of their Medicare benefits and put strain on an already overstretched health system, telehealth and remote care technologies will be key to helping deliver appropriate care to these aging patients while keeping costs under control. Whether deployed as an affordable means of after-hours medical coverage at skilled nursing facilities, or as intuitive voice activated home tools to help with remote monitoring and distance-based consults, telehealth is reaching maturation at just the moment it’s needed most. Grant Chamberlain, managing director in the corporate finance healthcare practice at Ziegler, has long experience of telehealth-focused investments. He’s advised major health systems (Baylor Health, Cedars-Sinai, Sharp) and vendors such as AirStrip, MDLive and Voalte. He’s also director at the ATA and serves on the board of the not-for-profit MAVEN Project, which helps deliver care to underserved populations with volunteer physicians affiliated with Harvard, Yale, Stanford, UCLA and others. Chamberlain agrees that telehealth maturity, acceptance and adoption have been a long time coming – and he thinks we still have a way to go before its benefits are fully felt. “I think we’re now broadly in the middle innings, the fourth or fifth inning, of the evolution of a 30-year sector,” he said. Still, even the nursing home and LTPAC space, which missed the boat on IT incentive money when those providers were left out of the HITECH Act, could make up ground quickly when it comes to telehealth adoption, said Chamberlain. “The beauty of where we are now is we’ve had an increasing pace of technology solutions that though price point has come down, the reliability of the solutions has gone way up,” he said. Meanwhile, “far and away the fastest growing area of telehealth is in the behavioral health and telepsych space.” That’s already serving a need, he said, for aging patients and younger ones too, across a broad continuum. That ease of use will be a key selling point as more and more seniors prepare to outfit their own homes with voice-activated devices and Bluetooth-enabled monitoring tools. In long-term care and skilled nursing facilities, meanwhile, more and more are “finally recognizing that you can use telehealth for after-hour coverage, for weekend and night coverage.” Rather than being rushed to the hospital in an ambulance for acute care – a risky and expensive way of doing things, as many as 85 percent of nursing home patients are “now being treated in a place using telehealth,” he said. Larger health systems, those in the middle innings of their telehealth journeys, have already shown that telemedicine is an effective means to solve any number of challenges as they try to deliver the best care to the most people at lowest cost, even with limited clinical resources. 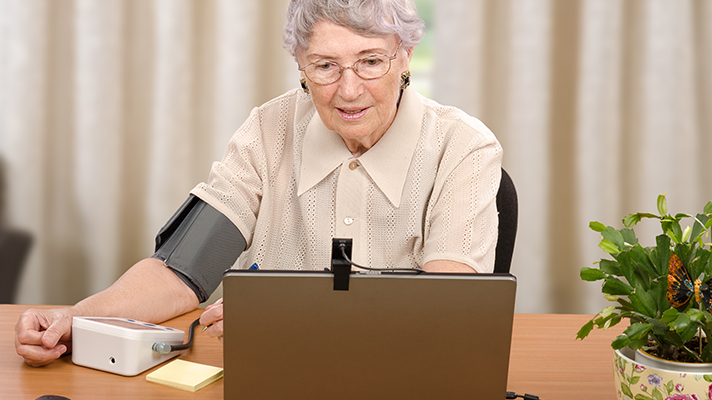 As the Baby Boomers age and put strain on U.S. health systems, ultimately the best-case is for telemedicine to facilitate “provider workforce optimization,” said Chamberlain, “across the continuum of specialists, subspecialists, PCPs, physician assistants, nurse practitioners, case workers, social workers and family members. “If you have tools that drive the solutions to the right area, through the benefit of continually improving solutions embedded within existing workflows, telemedicine can drive timely evidence-based analytically-driven engagement to the appropriate providers that can really enable all of them to operate at the top their license,” he explained.